Download "RAGINGWIRE. 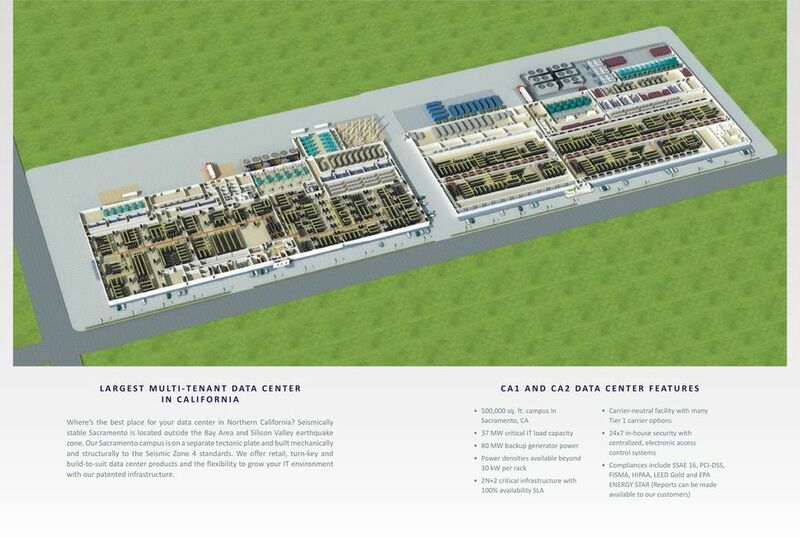 THE WORLD S MOST TECHNOLOGICALLY ADVANCED DATA CENTERS!" 1 RAGINGWIRE. 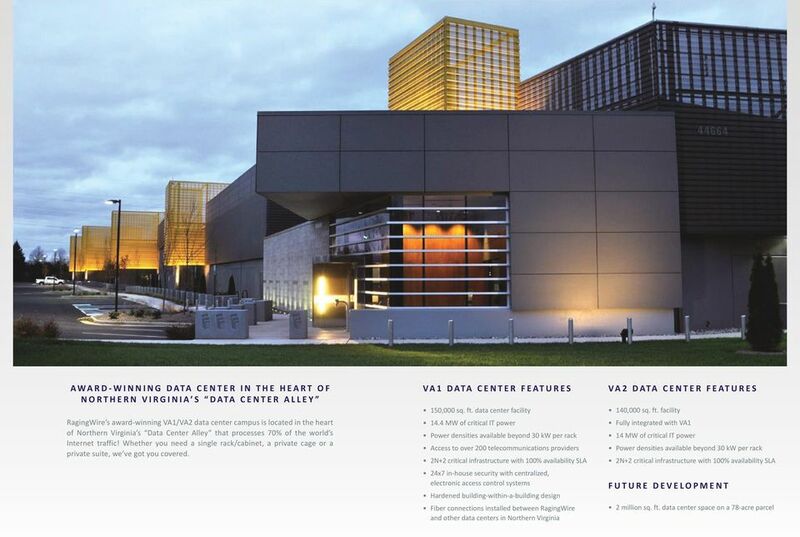 THE WORLD S MOST TECHNOLOGICALLY ADVANCED DATA CENTERS! 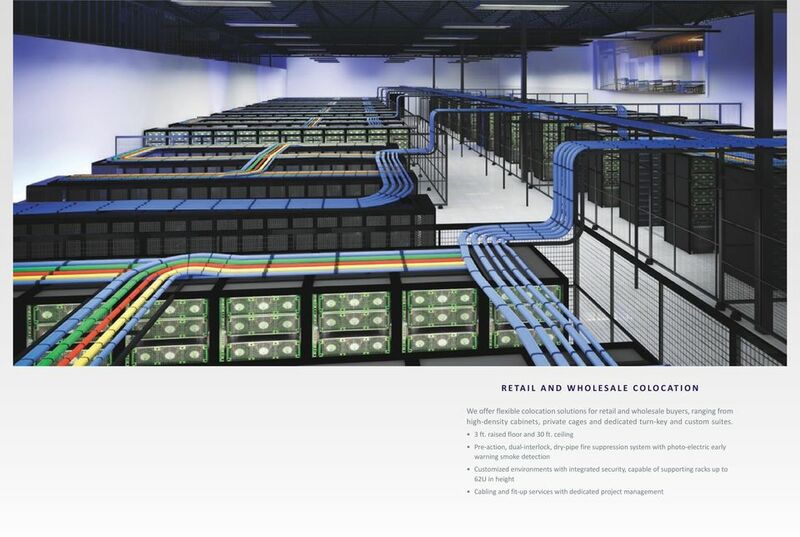 RagingWire designs, builds, and operates mission-critical, high density data centers. 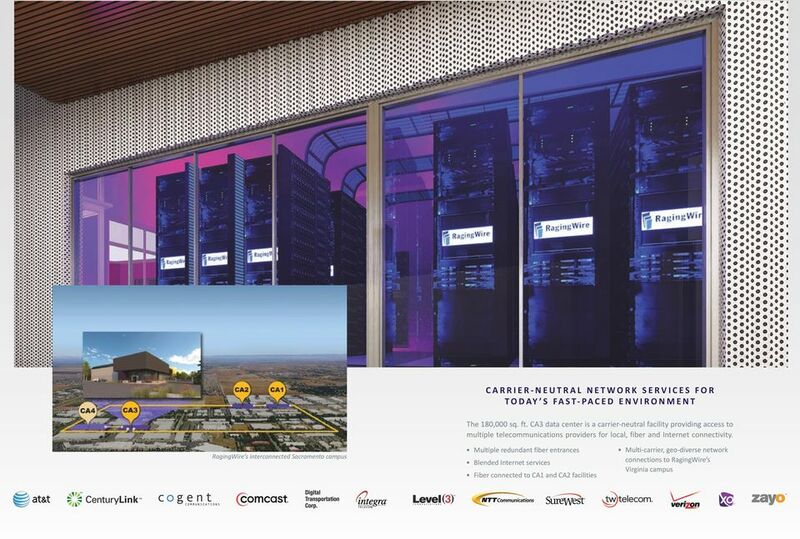 With nearly one million square feet of multi-tenant data center infrastructure in Northern California and Northern Virginia, our data centers are designed to support enterprise-grade colocation for commercial, web hosting, e-commerce, dot-com, government, social media and cloud services. 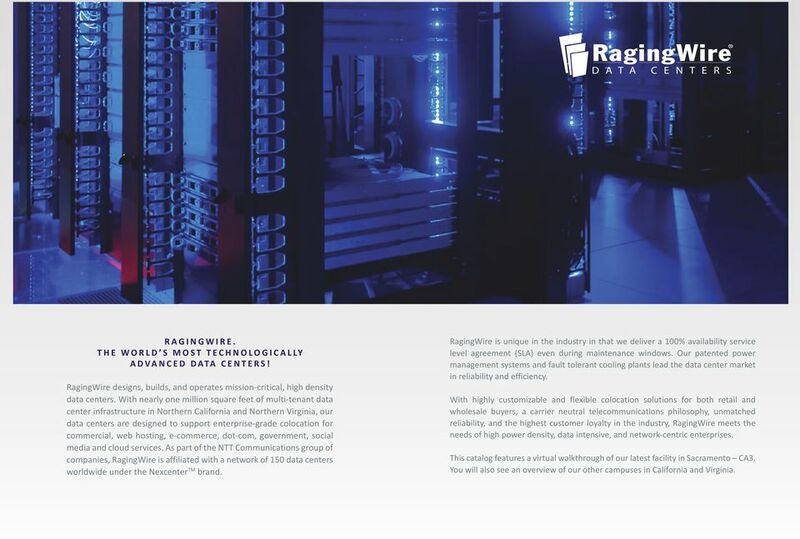 As part of the NTT Communications group of companies, RagingWire is affiliated with a network of 150 data centers worldwide under the Nexcenter TM brand. RagingWire is unique in the industry in that we deliver a 100% availability service level agreement (SLA) even during maintenance windows. 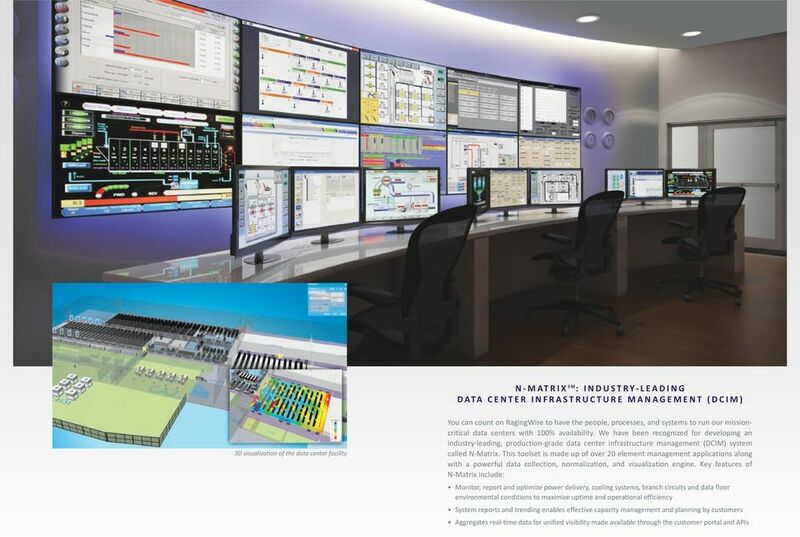 Our patented power management systems and fault tolerant cooling plants lead the data center market in reliability and efficiency. 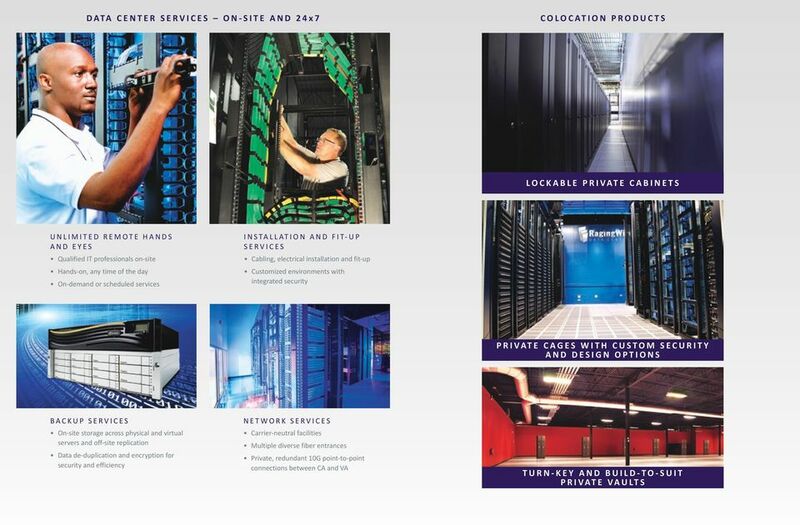 With highly customizable and flexible colocation solutions for both retail and wholesale buyers, a carrier neutral telecommunications philosophy, unmatched reliability, and the highest customer loyalty in the industry, RagingWire meets the needs of high power density, data intensive, and network-centric enterprises. 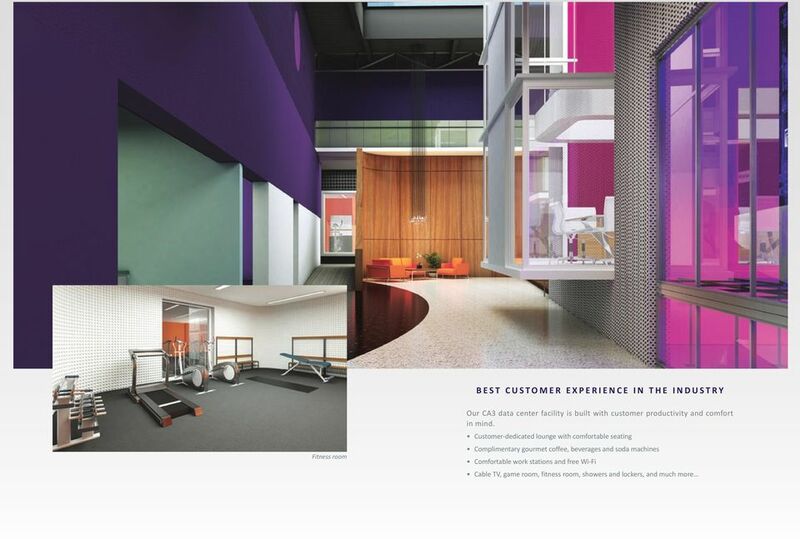 This catalog features a virtual walkthrough of our latest facility in Sacramento CA3. You will also see an overview of our other campuses in California and Virginia. 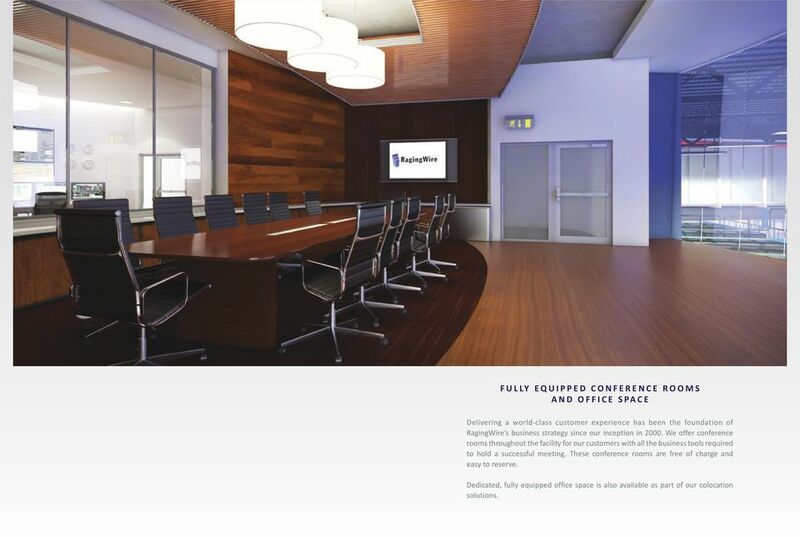 5 FULLY EQUIPPED CONFERENCE ROOMS AND OFFICE SPACE Delivering a world-class customer experience has been the foundation of RagingWire s business strategy since our inception in We offer conference rooms throughout the facility for our customers with all the business tools required to hold a successful meeting. These conference rooms are free of charge and easy to reserve. 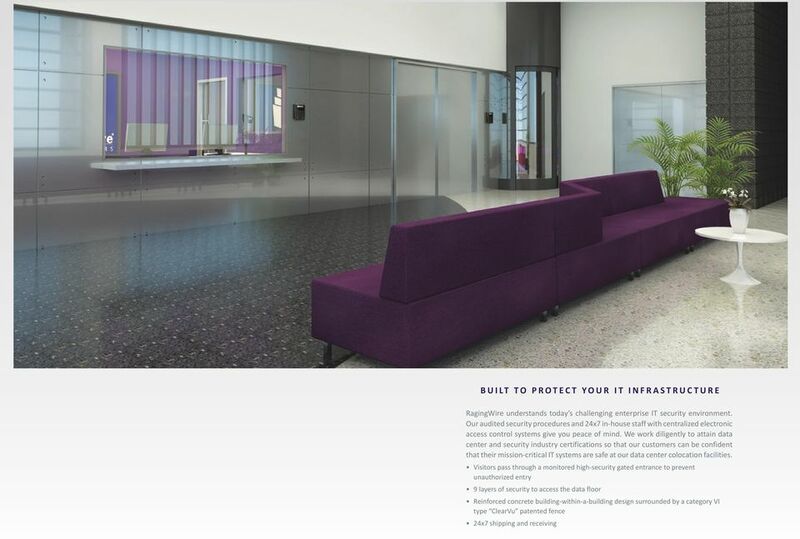 Dedicated, fully equipped office space is also available as part of our colocation solutions. 11 YOU HAVE TO SEE IT TO BELIEVE IT! 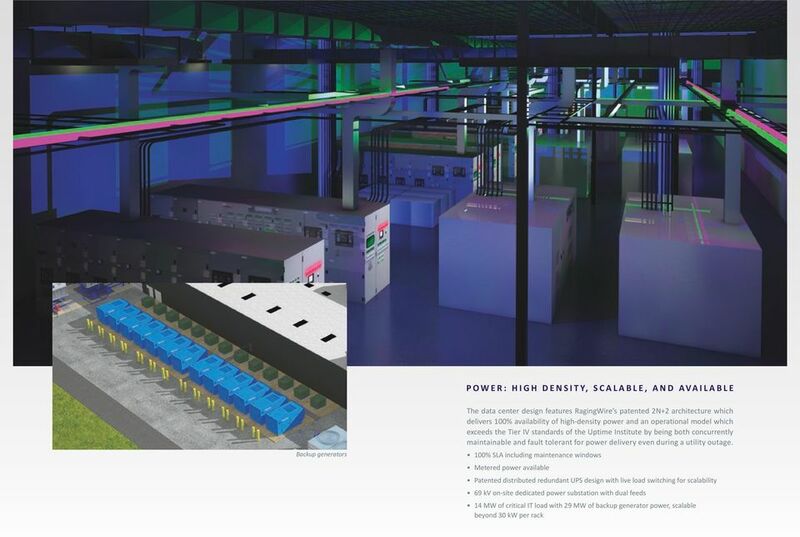 To fully appreciate RagingWire s new CA3 data center, you need to see it. We invite you to tour CA3 and experience first-hand the RagingWire difference. 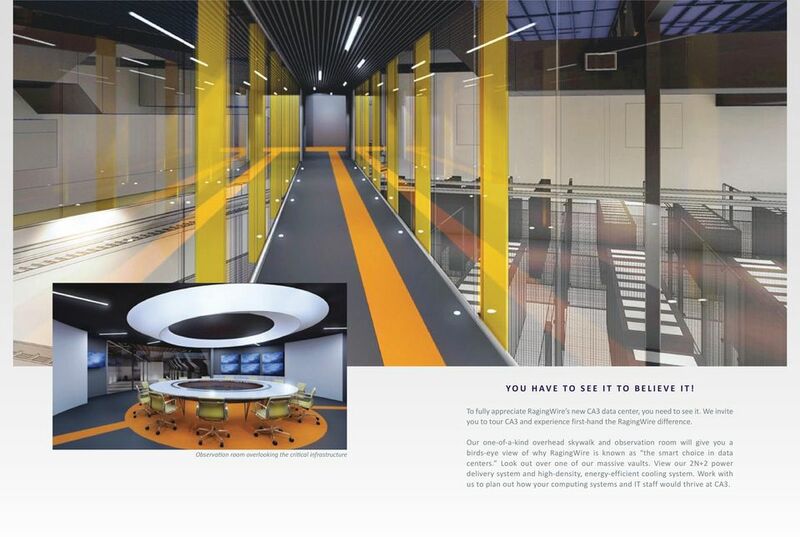 Observation room overlooking the critical infrastructure Our one-of-a-kind overhead skywalk and observation room will give you a birds-eye view of why RagingWire is known as the smart choice in data centers. Look out over one of our massive vaults. 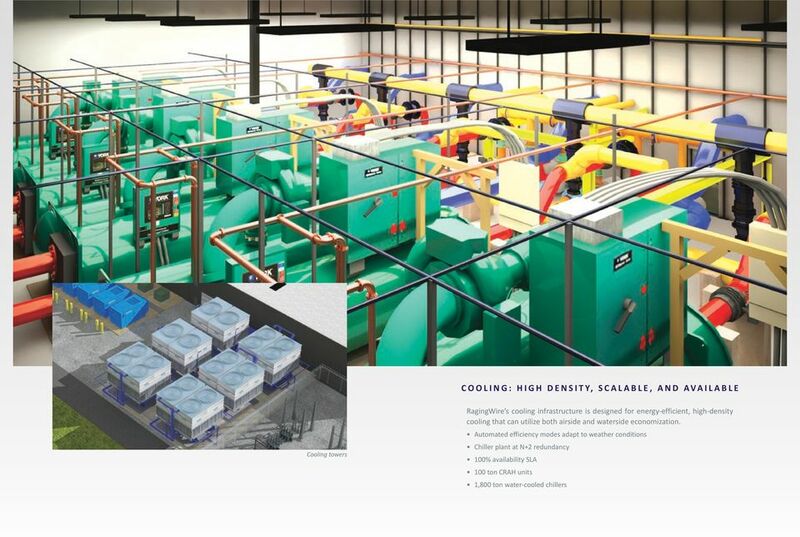 View our 2N+2 power delivery system and high-density, energy-efficient cooling system. Work with us to plan out how your computing systems and IT staff would thrive at CA3. 15 TAKE THE NEXT STEP. To learn more about RagingWire data center solutions, contact us. Phone: Copyright 2014 RagingWire Data Centers. All rights reserved. 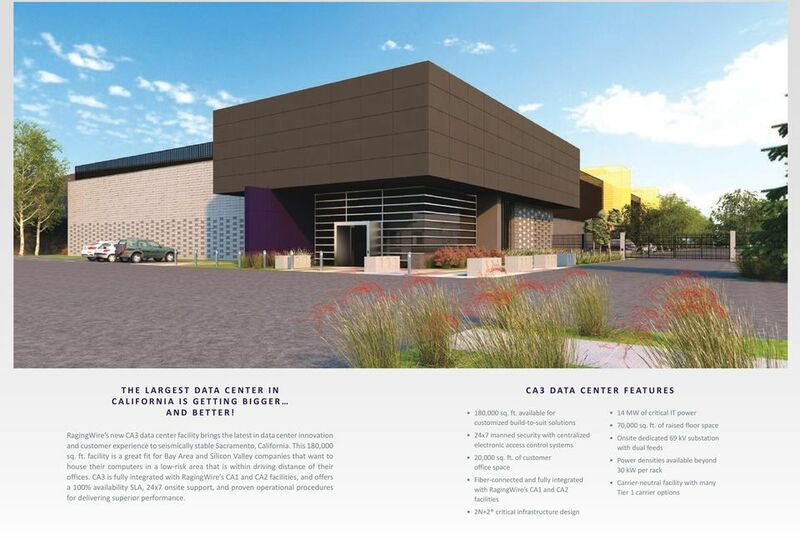 World-Class Data Centers, Colocation, Cloud & Management Services Central and Southern Oregon Locations East and West of the Cascade Divide Data Center facilities located East and West of the Cascade Divide. LEVEL 3 DATA CENTER SERVICES IN OMAHA, NEBRASKA HIGH AVAILABILITY ENTERPRISE COMPUTING BUSINESS DEMANDS IT. LEVEL 3 DELIVERS IT. COMMODITIZING THE DATA CENTER MARKET Site Summary The building at 1360 Kifer Road has approximately 94,500 SF of server and support space and is currently divided into two independent data center areas. Datacenter Clarity LC for colocation owners and tenants. The Data Center Infrastructure Management (DCIM) solution from Siemens. siemens. Why Choose Go4Hosting Data Center?